To one who knows the historical happenings concerning the war between the dreaded Seleucid King Antiochus Epiphanes IV and Judah Maccabee (story of Hanukkah), they must be always struck with a sense of awe and monumental surprise, for when we take a step back and examine the situation on the eve of the rebellion, the odds were clearly stacked in the Seleucids favour. This earth shattering story, intimately recorded in 1st and 2nd Maccabees of the Apocrypha and celebrated at the winter festival of Hanukkah, has all the colour and depth of any literary masterpiece: friendship, loyalty, faith, love, war, torture, betrayal, triumph, honour, courage, wisdom, virility, and standing against all odds. The small, seemingly insignificant Jewish people, surrounded by the behemoth empire of the Greek Seleucids with their vast armies and endless resources, are victorious over their brutal adversary following decades of war. This Seleucid defeat, eventually led to the weakening and collapse of the proud Seleucid Empire. For the Jews of Judea among the conquered nations which made up the Greek empire, a proper comparison would be to liken Judea to a single white dot on a chalkboard. Yet, it was the Jews who would triumph in battle and not the Seleucids. It was a rabble of Jews who became seasoned warriors, defeating massive armies three to four times their number. How could these Jews, who started out as simple masons, carpenters, priests, scribes, shepherds, butchers, vinedressers, farmers, weavers, and potters even have a chance at success? How could they seize victory over a professional, battle-hardened enemy? One may ask, how was this even possible? Well, let’s examine three clear facts which we know to be true. This examination is not meant to be exhaustive, but hopefully will shed light on how Judah Maccabee, the son of a priest, managed to lead the Jews of Judea in open revolt, staging one of the most incredible, daring, military feats in human history. Number One: The subservient shall never rise! The fact of the matter is simple, the idea of Jews rebelling in armed response against their Greek overlords never entered Seleucid thinking. Nobody on the Greek-Seleucid side saw it coming. Either they didn’t believe it at first, chose to out rightly ignore it, never thought it possible, or scoffed at the very idea. To say the Seleucids had a low opinion of the Jews would be a huge understatement. To Seleucid kings, nobles, and generals, the subservient never rebelled. History demonstrated that typically kings and generals led rebellions, amassing militias to their side, (i.e. Xenophon’s 10,000, Caesar and Pompey, or the Greeks versus the Persians) so why would Antiochus Epiphanes IV have treated this any differently? Obviously communication was much slower than. 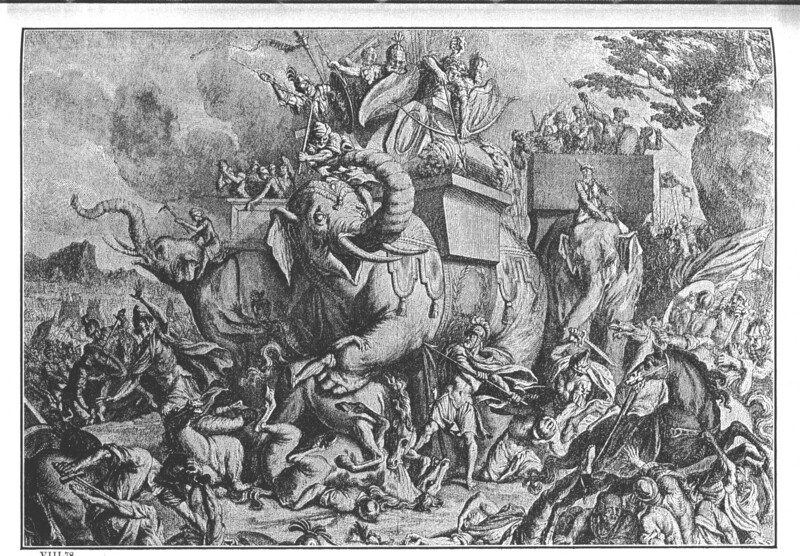 The record shows that out of a result from the intense competitive lifestyle among Greek officers, information was suppressed and not properly passed on, yet still the Seleucids failed to treat the Maccabee uprising as a genuine rebellion for nearly a year since the initial outbreak, thus giving it time to strengthen and morph into a real problem. But at the grassroots of it all, the Seleucids thought they had no reason to worry. They suspected that they were dealing with nothing more than a gang of cut-throats and treasonous thieves. Even when a modern-day student of history looks back over time, the amount of conflicts started by “nobodies” and “peasants” are barely a fraction of a percentage when weighed against the wars and conflicts started by generals, kings, politicians, and warlords. In the Seleucid opinion, the Jews were a backwater people, with no combat experience possessing strong religious roots. The Jews were divided among themselves, many adopting the Hellenism of the Greeks. Those who rejected Hellas, clung to their faith in the God of Abraham, Isaac, and Jacob, this category was where the Maccabees would arise from. So, when the rebellion was burning bright and the Maccabees were organizing their campaign to crush the Seleucids, the Greeks were making other plans to invade Parthia (a neighbouring superpower). Around the same time, Antiochus passed strict edicts, forcing all the inhabitants of his realm to adopt Greek customs and worship their gods in an effort to strengthen his western borders, due to his fear of the rising power of Rome. While all of this was going on, Antiochus, who saw himself as the next Alexander the Great, hardly paid any attention to the Jews as a result from his ego, overconfidence, and what history told him in regards to dominated, suppressed people. Number Two: Bad tactics equal a bloody mess! The harsh edicts in which Antiochus Epiphanes IV issued to all his subjects, were edicts that made it mandatory for all inhabitants to observe and participate in Hellenistic activities, which included pagan rituals. This was Antiochus’ attempt to unify the subjects of his kingdom, in a two-pronged effort to guard against the rise of Parthia in the east and the might of Rome in the west. Rome was becoming more of an expansionist empire, having already defeated Carthage in two wars for supremacy of the Mediterranean Sea and now held Sicily, Sardina and Corsica, parts of west Africa, and swathes of provinces expanding into Europe. So Antiochus, intimately familiar with the Roman mindset from his days as a hostage, feared that the Roman eye would gaze upon his kingdom. Thus, he took swift action to strengthen his western borders. Antiochus also had to guard against his old rival, the Ptolemaic Empire, which had been a splinter kingdom, ruling out of Egypt, since the death of Alexander the Great in 323 B.C. Since the Jews had fallen under Seleucid rule (190’s B.C.) with the suppression of the Ptolemaic influence, they continued to remain as staunch monotheists in the God of Israel, observing Torah (Bible) and the traditions of their forefathers. As a result of Jewish refusal to obey his new Hellas laws, Antiochus launched a campaign of persecution, targeting the Jews of Judea which made up the faithful majority who refused to compromise the commandments of Torah and their beliefs in one God. Thus, Judea became divided, with one side making up a significant percentage of Jews (known as Hellenists or Antiochians) who obeyed the king and forsook the Torah, and the other side being compiled of Jews who would rather die then break the commandments. Against overwhelming Seleucid persecution, the Maccabees, led by Judah and his brothers from the village of Modiin, launched a guerilla-style rebellion. The commander of Jerusalem, Philip of the Phyrgians, failed to take the rebellion seriously, ostracized the Jews and branded them as nothing more than ‘murderers and thieves.’ Meanwhile, Antiochus was rallying a huge army in his capital of Antioch, to invade the lands of Parthia and expand his kingdom. As a result of his inaction, Philip allowed the Maccabees to gain intimate knowledge of the land, establish a system of bases among the friendly villages, create a network of recruiting soldiers to trai them, and settled in the hills around Gophna where they established a base. From here, nearly a year went by in which the Maccabees raided and ambushed Seleucid patrols, slaughtering them, seizing their weapons and armour. After Philip had lost substantial troops, he finally attempted to launch his own campaign into the wilderness, but was quickly destroyed, thereby realizing the threat that faced him. Thus, he had no alternative but to turn to the governor of Samaria for help, Apollonius. In all his pomp, Apollonius marched 2,500 troops along the Samaritan Road, a road which runs north and south to Jerusalem. This was the easiest and quickest road to take but Apollonius failed to treat the Maccabee threat seriously. Marching his men through the Judean Hills, overcome by heavy armour and cumbersome weapons, they were ambushed by the Maccabees (numbering around 600 men) and massacred…including Apollonius who was decapitated. After this solid victory, Jews flocked to the Maccabee ranks and they went on to win another outstanding victory against Seleucid general, Seron. Seron made almost the identical mistake as Apollonius, except this time taking 4,000 men along a different route, only to be ambushed and slaughtered. Next came Seleucid generals Nicanor and Gorgias, who were commissioned by Seleucid Viceroy Lysias who was governing the capital of Antioch in the king’s absence on his Parthian campaign. Nicanor and Gorgias took an army of 25,000 troops, sought to establish a base camp in Emmaus and chose to divide their forces to launch a double attack against the Jews. However, through Maccabee genius, the Jews dodged Gorgias’ men, leading them on a wild goose chase, and closed in against Nicanor’s 15,000, striking the main base camp at Emmaus with force. In a desperate battle, Judah’s army of 6,000 managed to put to flight Nicanor’s host and capture the camp. Upon Gorgias’ return, he found the camp in ruins, the Maccabees waiting for round-two, and decided to retreat. When word reached Antioch, Lysias felt he had no choice but to lead his own army. So, he assembled 45,000 men, marched them down the coast, and struck inland for Hebron with plans of reaching Jerusalem from the south. 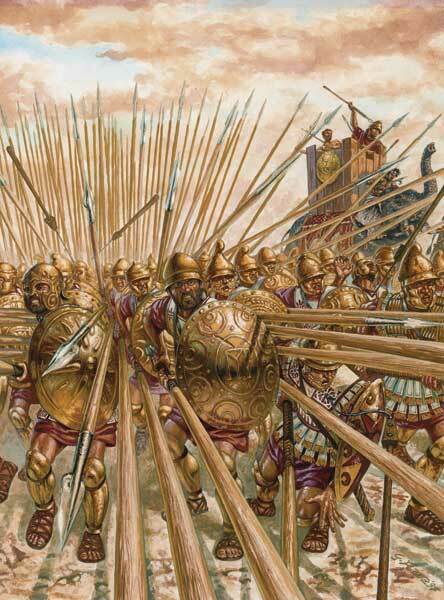 Meanwhile, the Maccabees had been shadowing his advance, and assembling their men outside of Beit Zur, they attacked the marching columns of Lysias’ army and slaughtered 4,000 of them before putting them to flight. Lysias vowed his revenge, and like a dog with its tail between its legs, he withdrew back to Antioch. 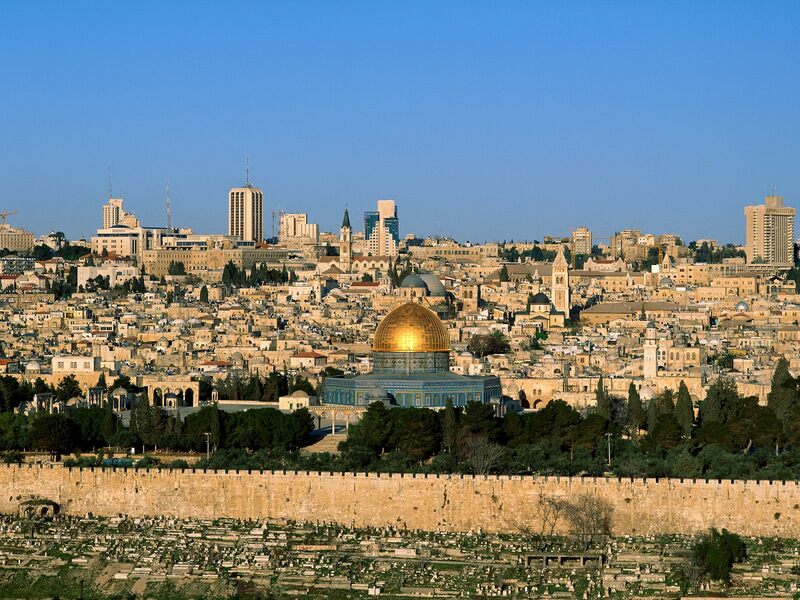 The Maccabees, unopposed, marched to Jerusalem and captured the city. The series of Seleucid defeats can only be summed up by stating the obvious: they were unprepared for a guerrilla war, arrogant in their methods, never suspecting what awaited them, unorganized in their tactics, failed to share vital information or treat the threat as credible. The Maccabees on the other hand, capitalized on the Seleucid weaknesses, used their strengths against them, and constantly changed their tactics. They managed to unite the people of Judea, drive out the enemy, and establish an independent Jewish kingdom known as the Hasmonean Kingdom, after the family line of Judah Maccabee. Number Three: Did anyone mention anything about divine intervention? To say that the Maccabees did not believe that God had intervened on their behalf would simply be a untrue. The Maccabees were pious men, with scribes, priests, and teachers of Torah amidst their ranks, and they fervently believed that God would deliver them, sustain them, and rescue them from the wrath of Antiochus’ Seleucid war machine. A strong contingent of the Maccabee ranks, were made up of the Hasidim, or ‘pious ones’, who were be the descendents of the Pharisees and Zealots. These men were fiercely loyal to the Torah, the commandments and traditions of their forefathers and would gladly die in order to preserve their faith. The Hasidim guarded the Torah, building a fence of protection around it (as stated in Pirke Avot- Ethics of the Fathers), and were true men of faith in the God of Israel. 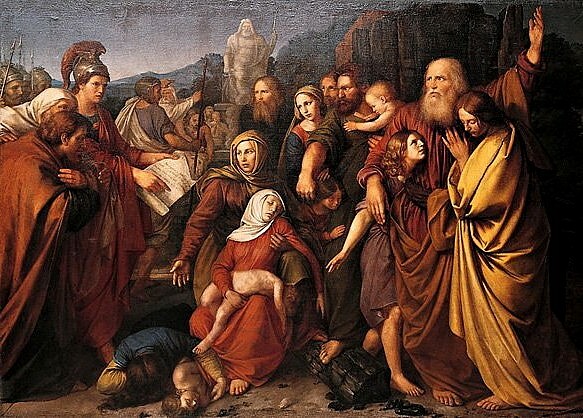 Upon the outbreak of the revolt, the Maccabees refused to bow the knee to Seleucid pressure which demanded that they cease: the practice and study of Torah, circumcision of their sons on the eighth day, gathering to worship in houses of prayer or the temple, prayer, and other elements of traditional, biblical Jewish faith. History clearly shows us that many Jews were intimidated and therefore compromised their faith in an effort to “fit in”, but the Jews of Judea, including the Hasidim and Maccabees, out rightly refused. The historical accounts of 1st and 2nd Maccabees demonstrate this refusal to obey Seleucid law as the Maccabees smashed down pagan altars, continued to study Torah, circumcised sons in the villages, and prayed openly as Jews. Over and over in the Apocryphal accounts of the Maccabees we see prayer to the God of Israel and a genuine faith that He will not abandon them, plastered across it’s pages. We especially see this character of God clearly defined in the Bible throughout the history of Israel. 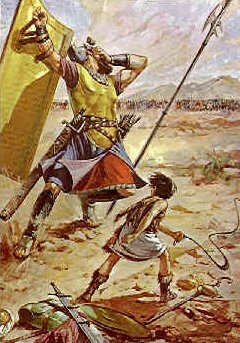 From Moses to King David, to the righteous kings of Judah or the Jews exiled in Babylon, the yearning hope that God will defend His people and avenge them is a strong tone. In the Bible, we see divine intervention, at times, strike down the enemies of Israel, such as the account in the book of Isaiah concerning the plague that wiped out most of Assyrian King Sennacherib’s army in the year 701 B.C.. However, most of the conflicts and happenings in the Bible, pertaining to the enemies of Israel, are displayed with God encouraging Israel to physically march to war through actions of divine judgement or self-defense. We see generals, prophets, prophetesses, and kings of Israel praying to God and seeking wisdom. Whether this is Moses against the Amalekites, Joshua on the eve of battle with Jericho, King David’s war against the Philistines, or King Hezekiah pleading to God about the Assyrian threat, the belief that God would never abandon His covenant people is not something to take lightly. This in no way should paint the picture of ancient Israel being a warmongering nation, as it is clear in the Scriptures that special service was to be given to strangers in the land or other nations who did not provoke them to war, but it should reveal the reality of those days and the hostile nations of the ancient world. In the historical accounts of the Bible, we see a clear picture in which the ancient people of Israel invaded a hostile land (by the direct word of God) which was made up of wicked nations. Israel was to be at times a tool of judgement by God who had given these nations centuries of time to repent. Thus, the Maccabees viewed themselves as cut from the same cloth. These men and women, who were firmly educated in the Torah and history of their people, recognized the commonalities and dangers they now faced, as seen in past generations. They were a tiny fragment of righteous people, surrounded in a sea of paganism which sought to obliterate them. The Maccabees had no choice but to trust in the promises that God would uphold the covenant, see their righteous cause, and give them victory. The faith of the Maccabees, and the reflection of their strong biblical conviction, already cemented into their hearts, cannot be ignored when weighing out their actions against the Greek armies who marched against them. This entry was posted in Ancient Warfare, Archaeology, Greek, Hebrew, Hellenism, Israel, Jews, Persia, Philistines, Rome, Seleucids and tagged ambush, ancient warfare, Antioch, Antiochus Epiphanes IV, Apocyrpha, Apollonius, Assyria, Bible, David, Emmaus, Gophna, Gorgias, Greek, guerilla warfare, Hanukkah, Hasidim, Hebron, Hellas, Hezekiah, history, Israel, Jerusalem, Jews, Joshua, Judah Maccabee, Judea, Lysias, Maccabees, Moses, Nicanor, Parthia, Pirke Avot, Ptolemies, Seleucids, Sennacherib, Seron, Temple, torah, traditions. Bookmark the permalink.